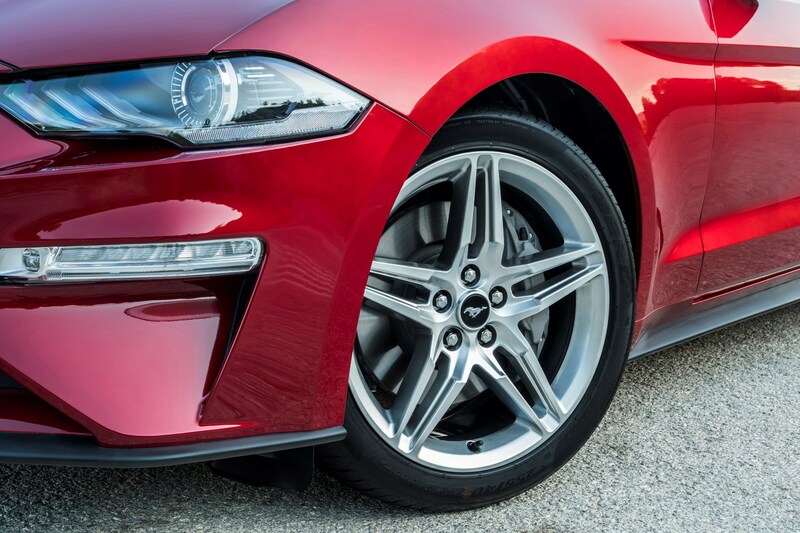 Insurance group: 43 - 47 How much is it to insure? 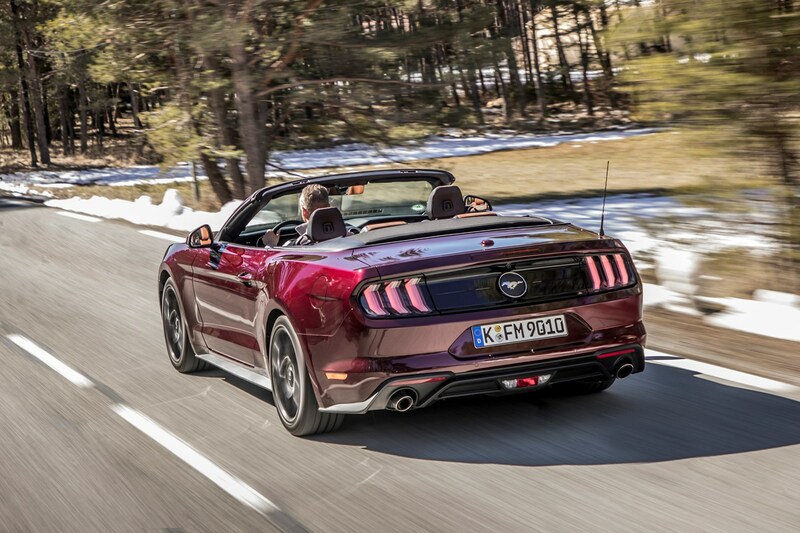 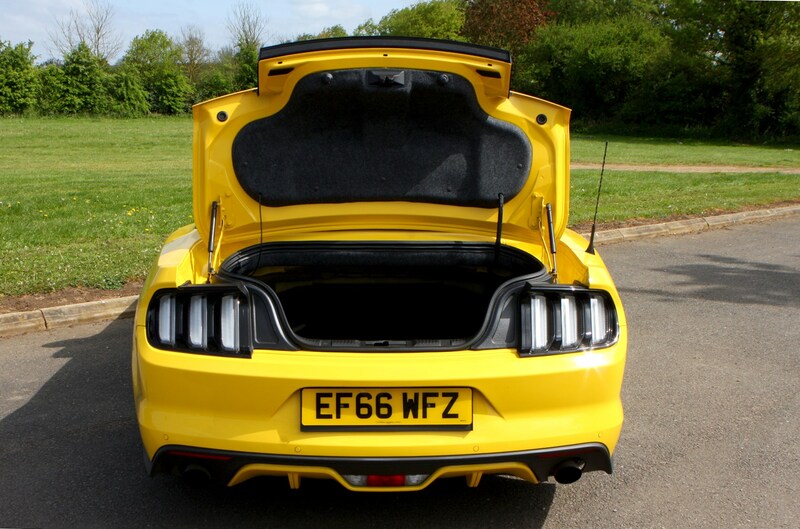 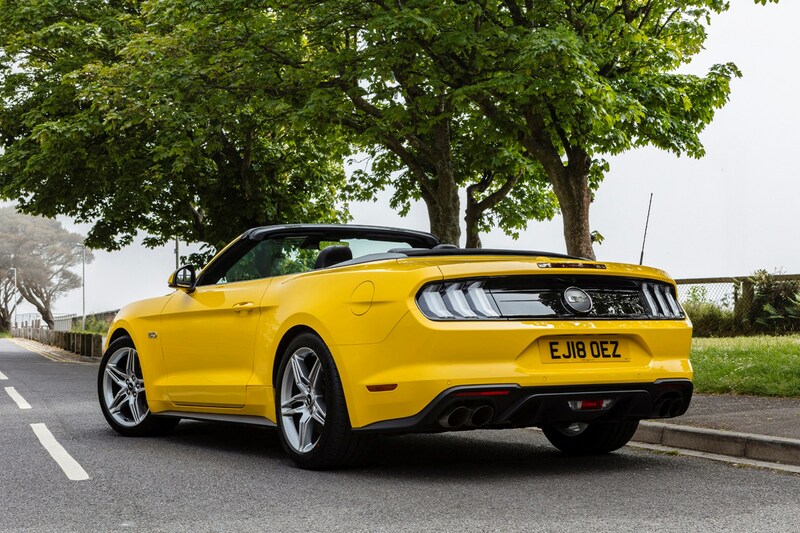 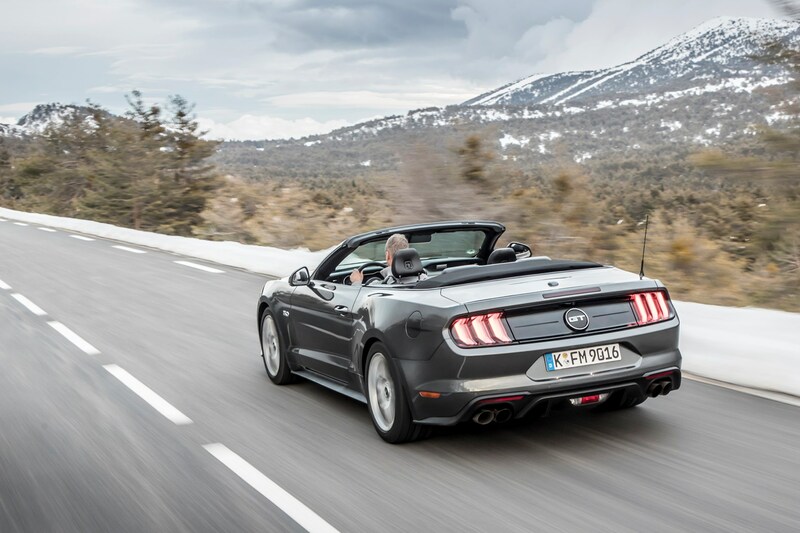 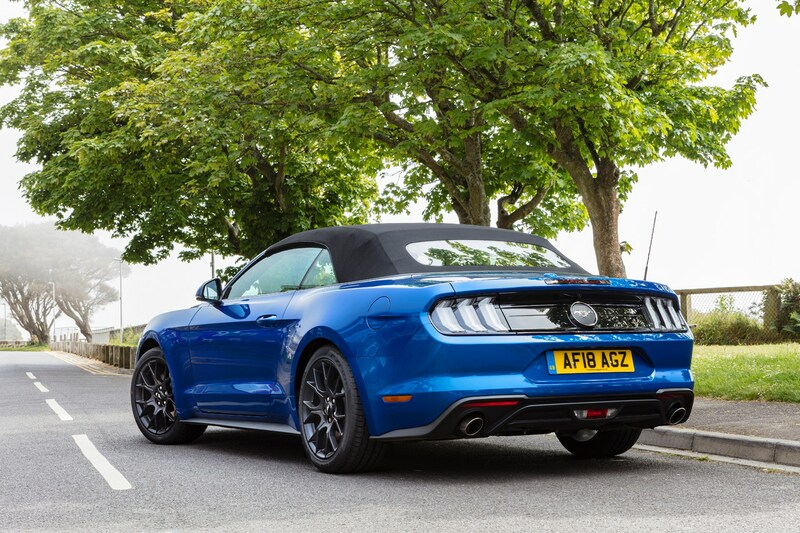 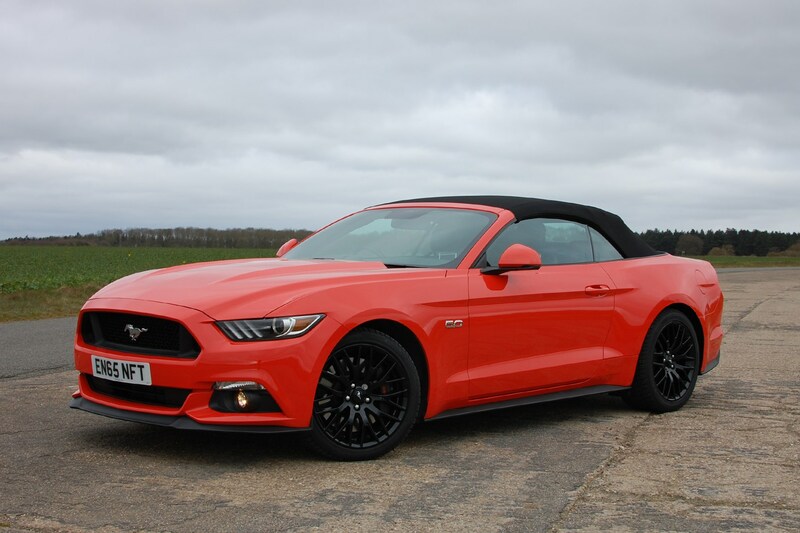 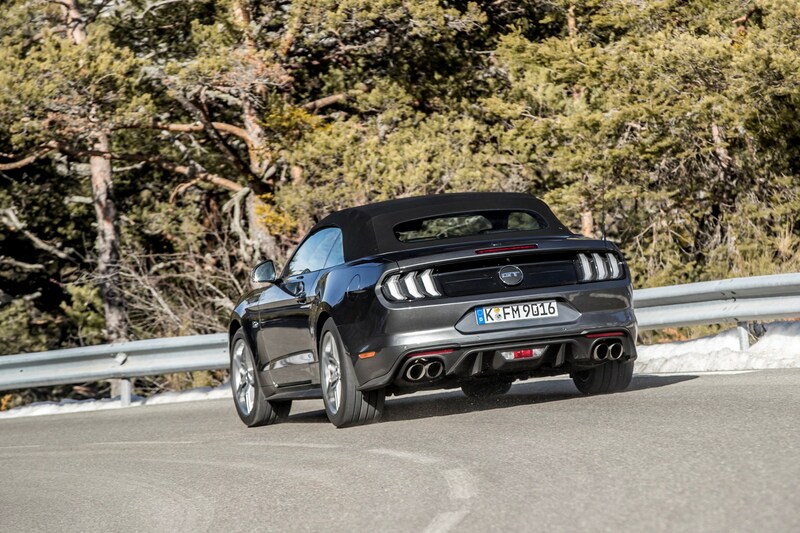 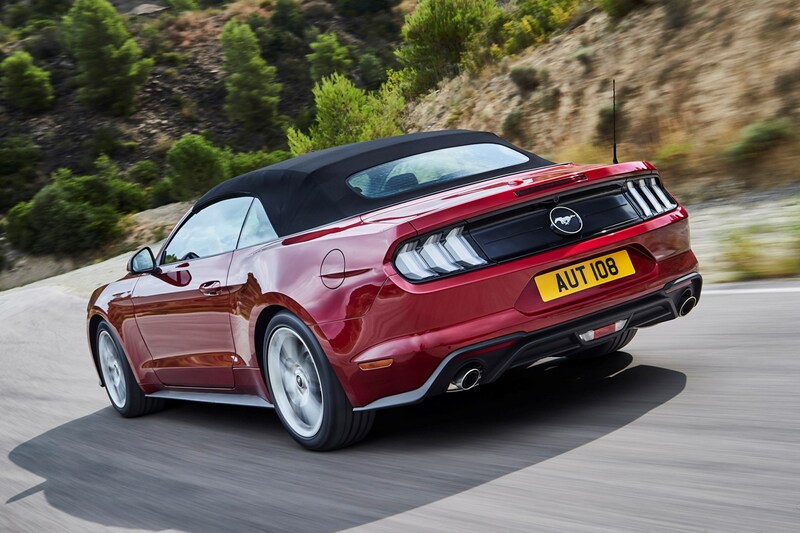 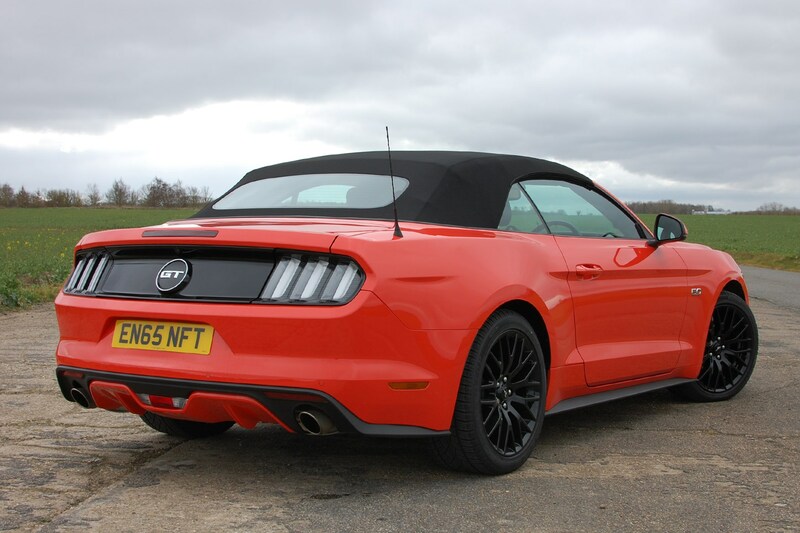 This is the first time a Ford Mustang Convertible has been made available in the UK. 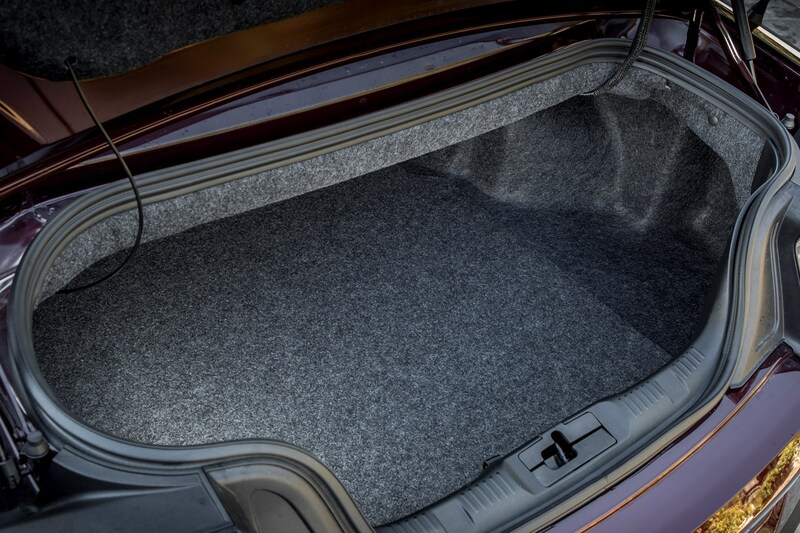 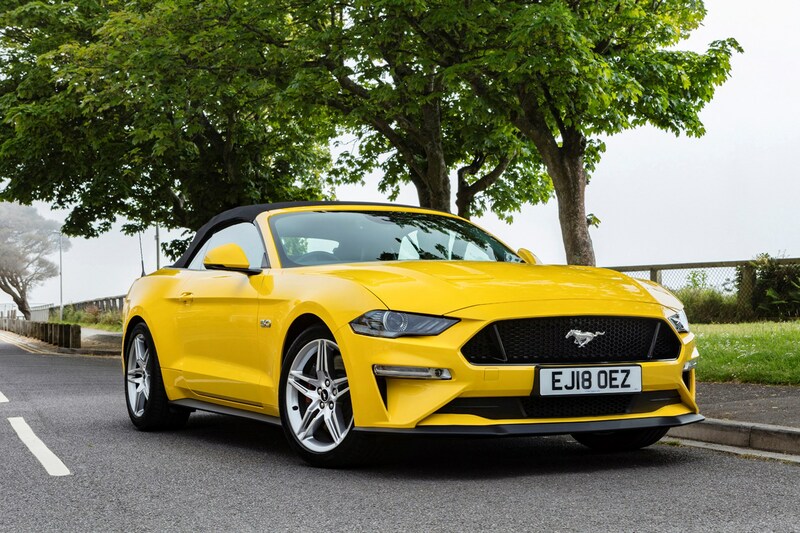 Previous sightings of one would have been a left-hand drive private import and even that would most likely have been a Fastback; spotting a soft-top would be even rarer. 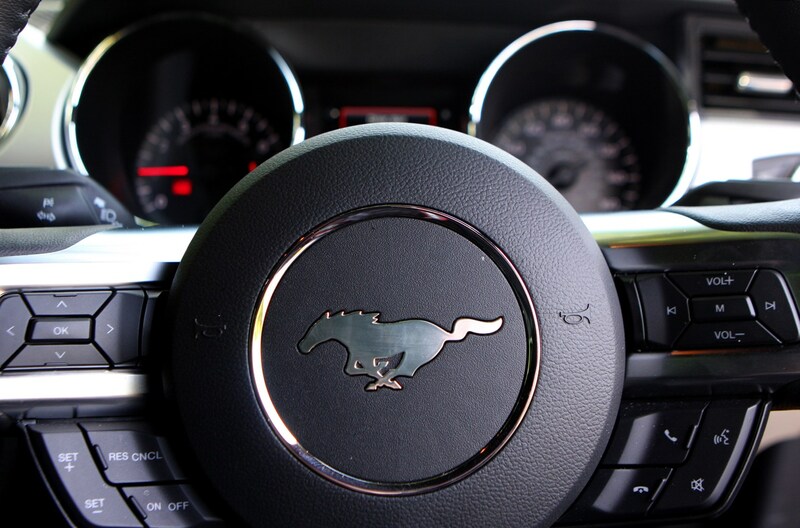 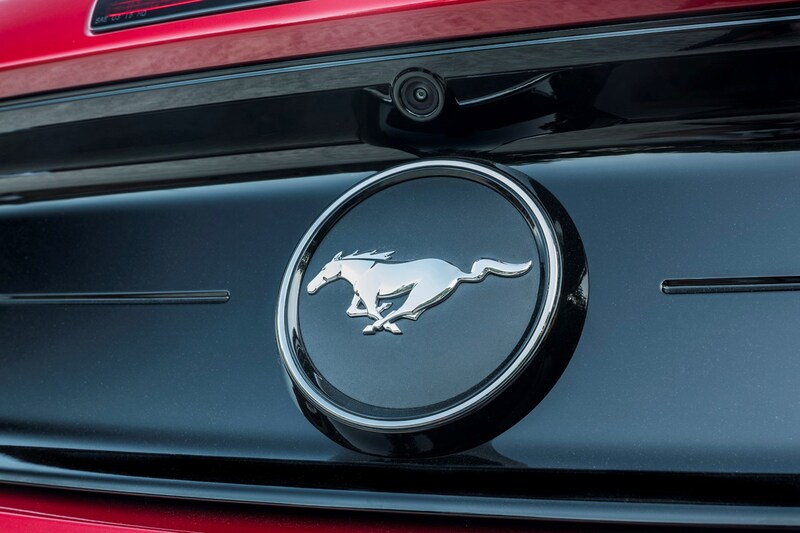 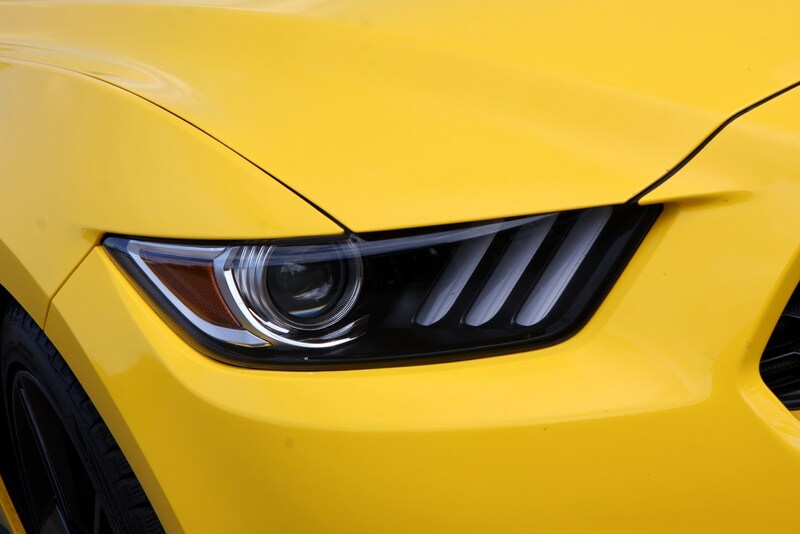 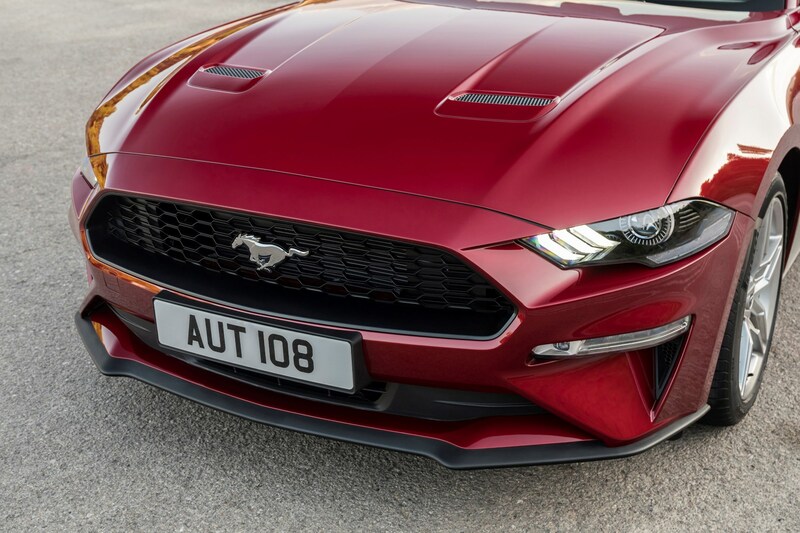 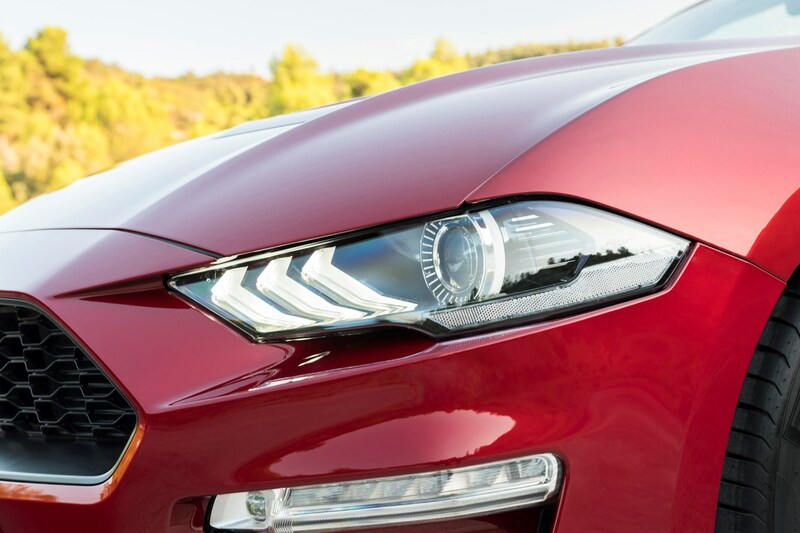 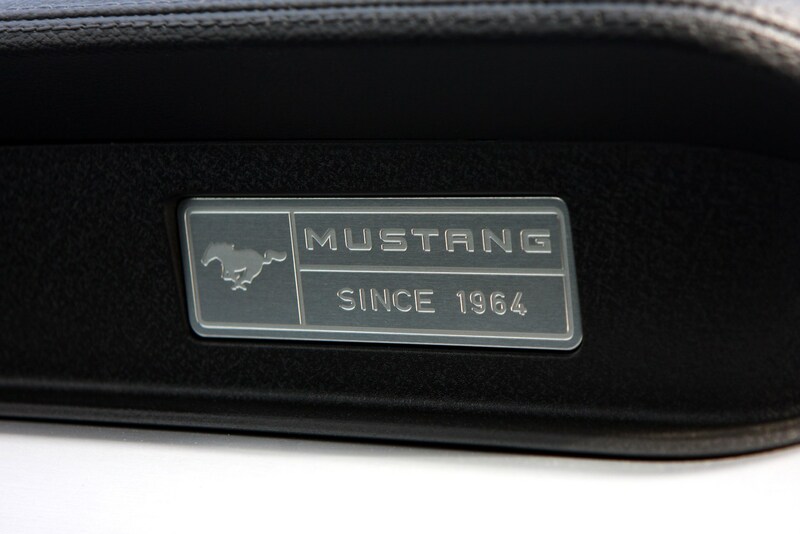 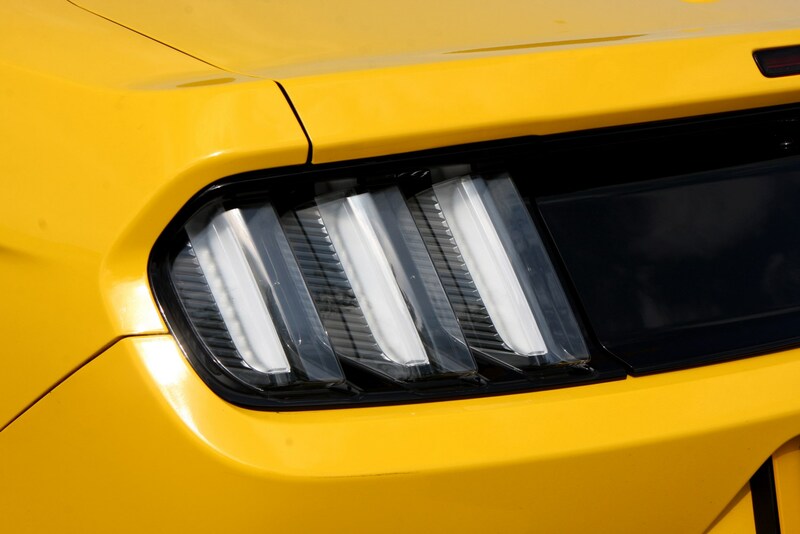 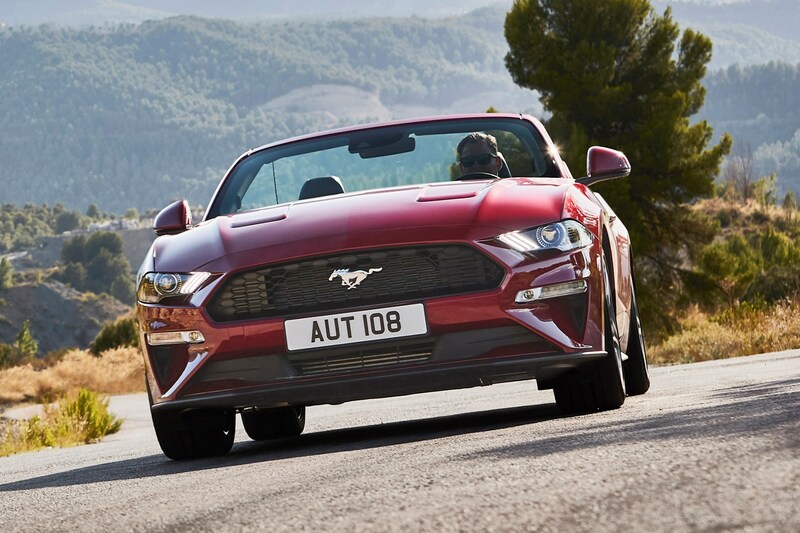 Despite the original model launching over 50 years ago, the styling of today’s Mustang remains instantly recognisable: from its high bonnet line, prominent front grille and tri-bar lights at the rear. 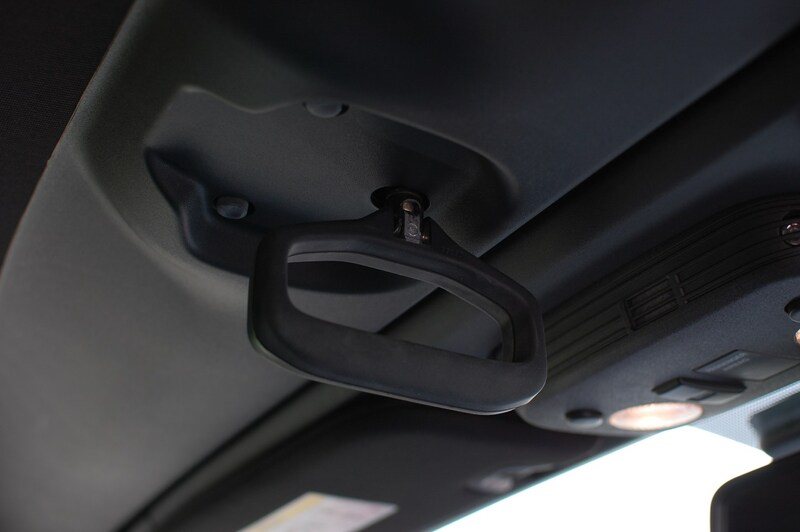 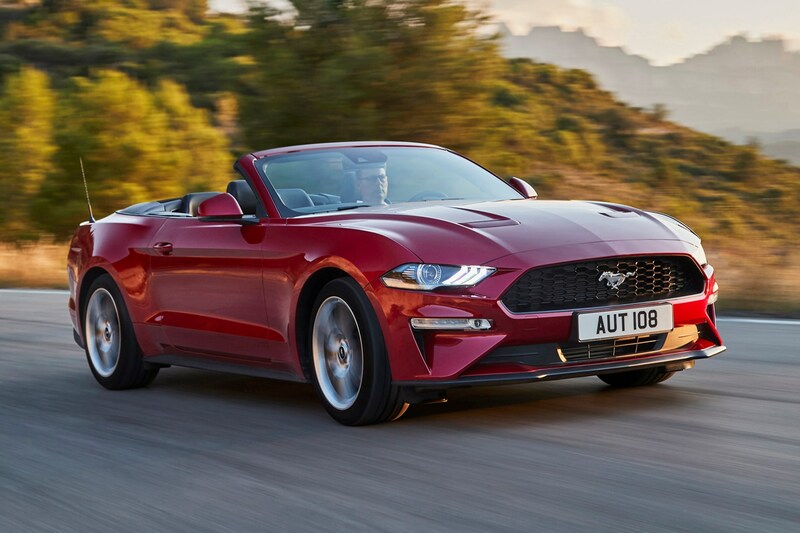 What isn’t reminiscent of the original 50 year old model is the suspension setup which offers a more sophisticated multi-link setup at the rear; designed to offer a more accomplished driving experience. 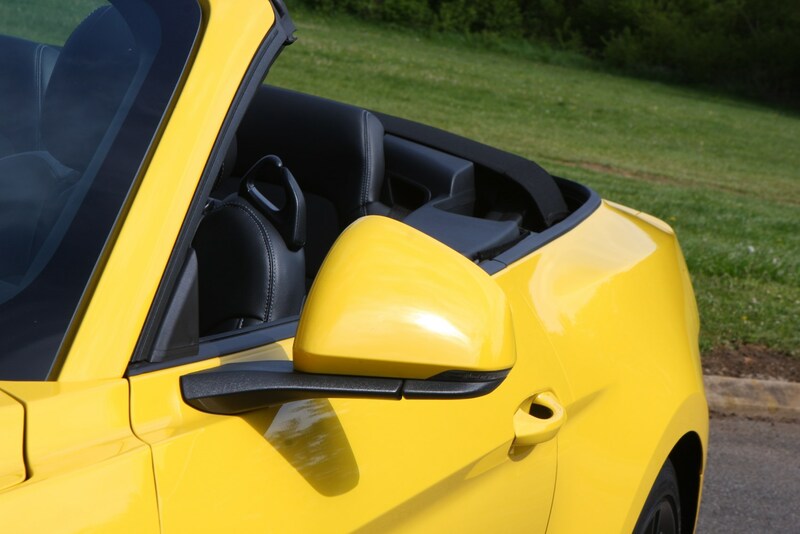 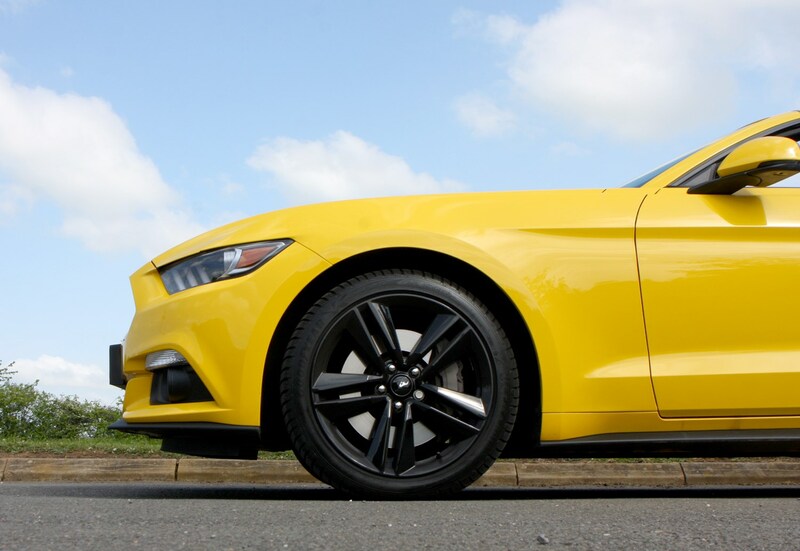 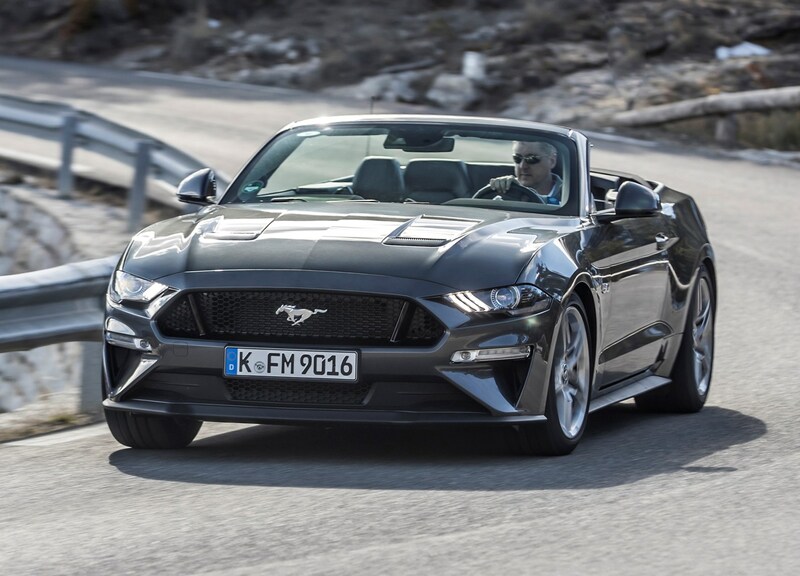 While it offers something different from its rivals, the Mustang Convertible has to face some fierce competition from the likes of the Audi A5 Cabriolet, BMW 4 Series Convertible and Mercedes-Benz C-Class Cabriolet; all of which are competitive and desirable with the European market in mind. 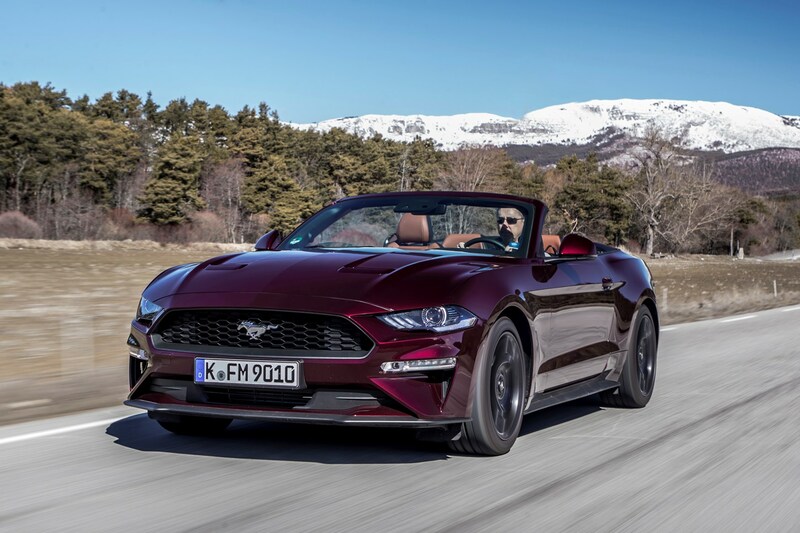 However, the Ford Mustang’s alternative level of styling, generous equipment and laidback character will appeal to a different kind of buyer. 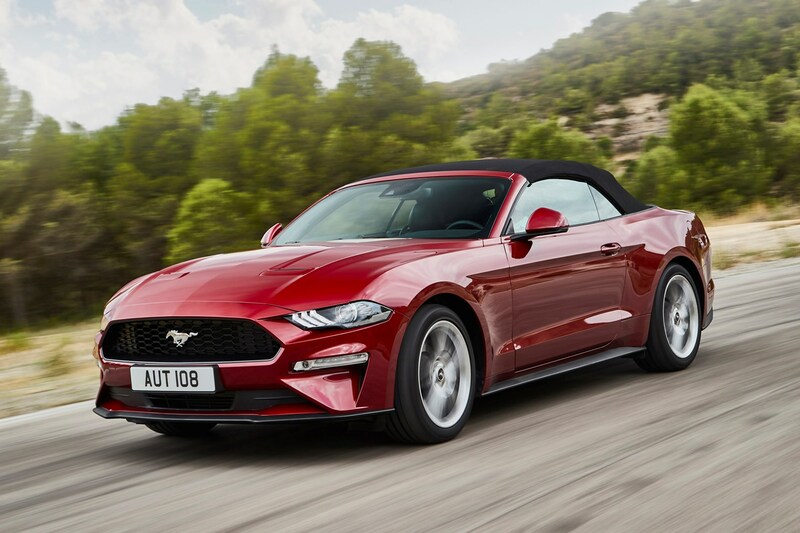 The Mustang Convertible range simply consists of two trim levels, both of each corresponding to the engine choice: the EcoBoost and GT. 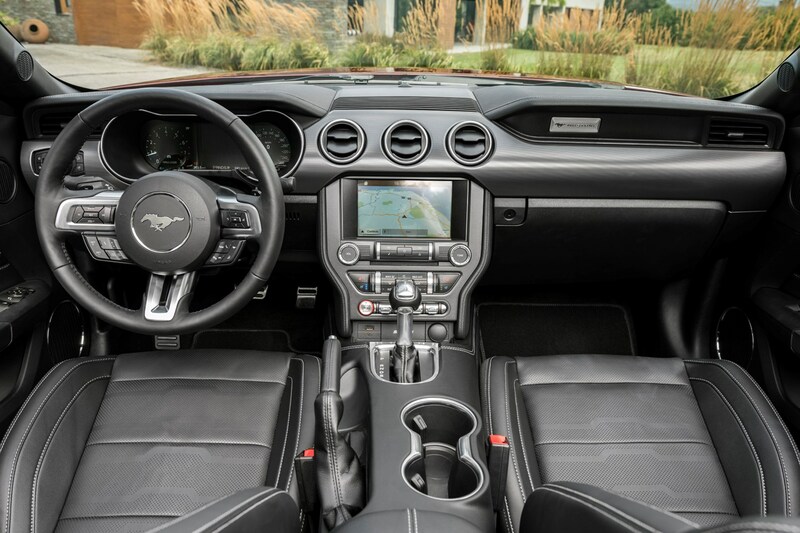 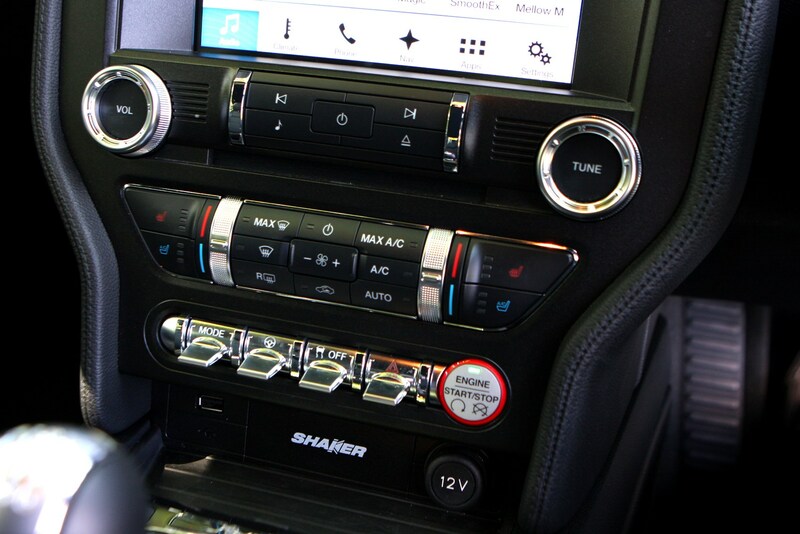 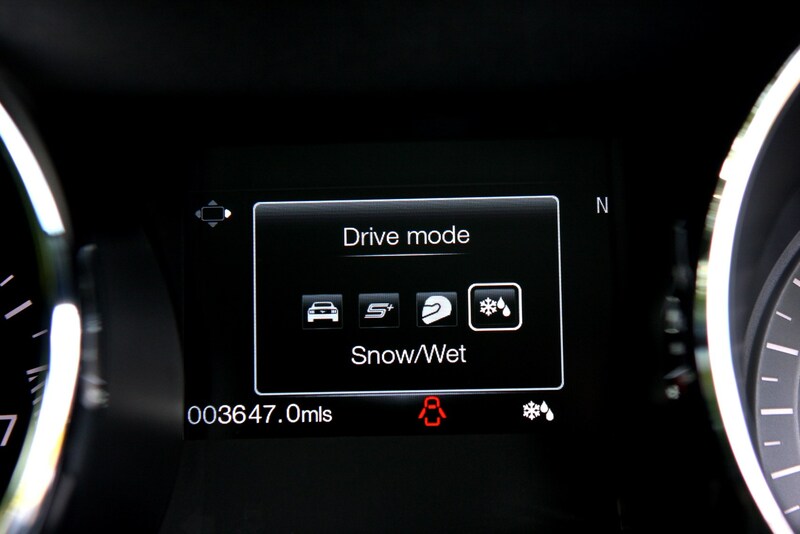 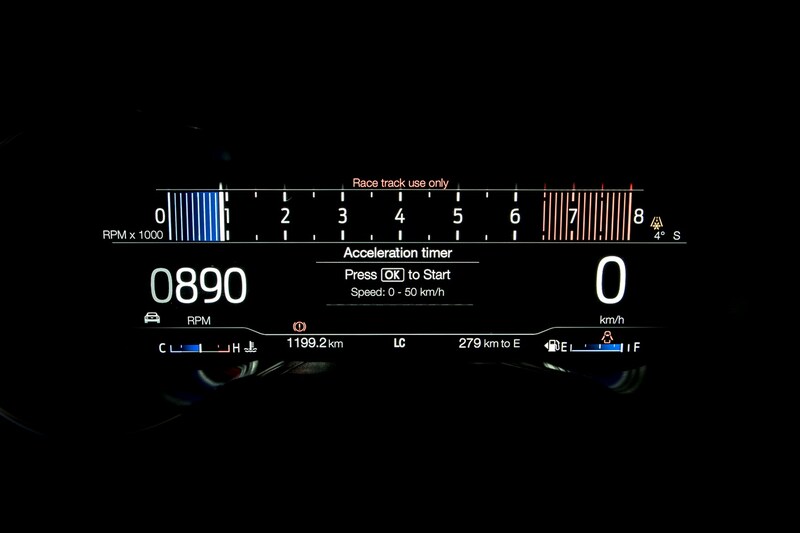 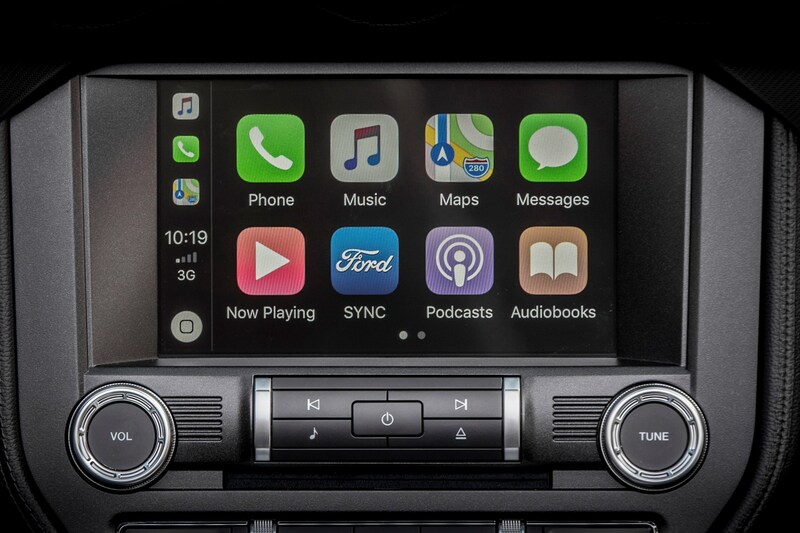 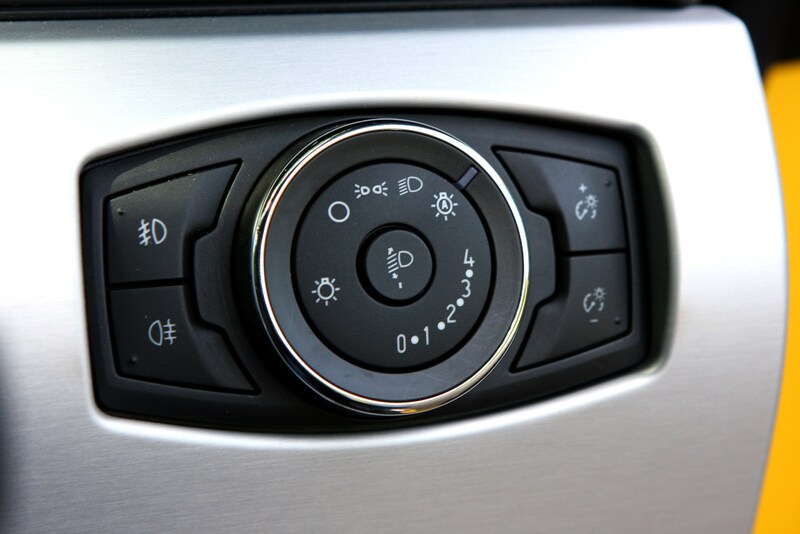 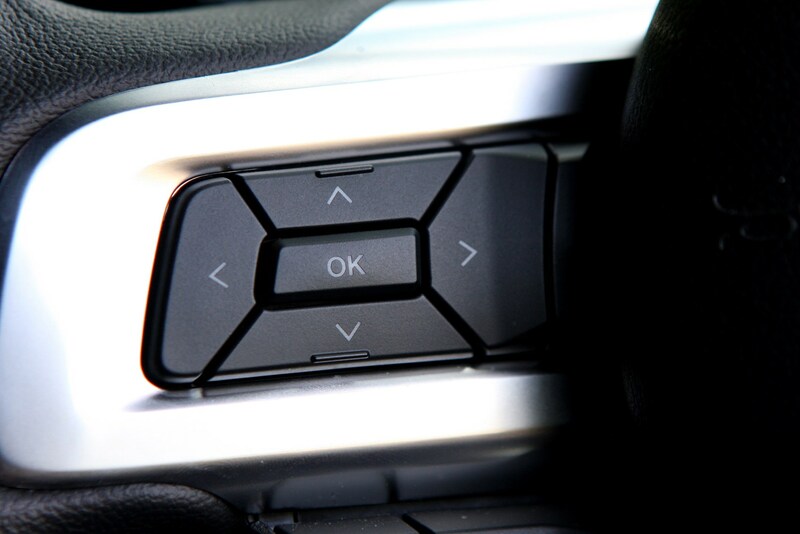 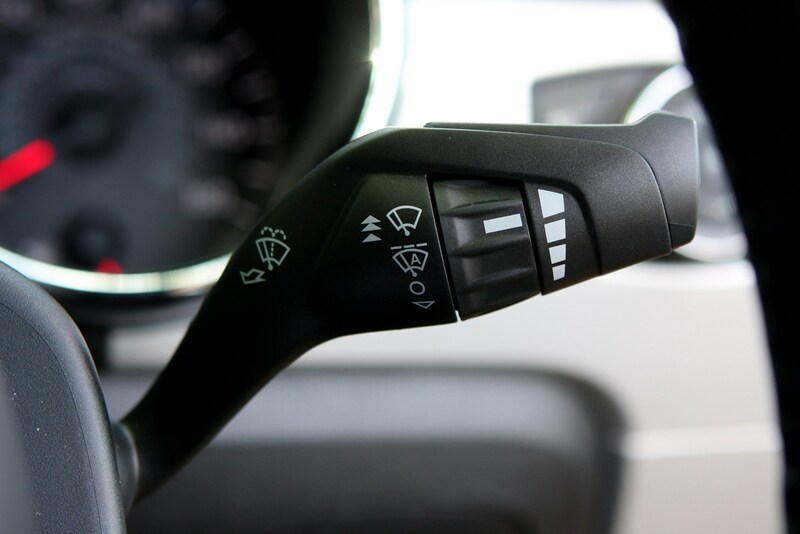 Both are well equipped with 19-inch wheels, a 12-inch digital instrument cluster, a set of drive modes, LED lights, climate control and 3.8-inch touchscreen. 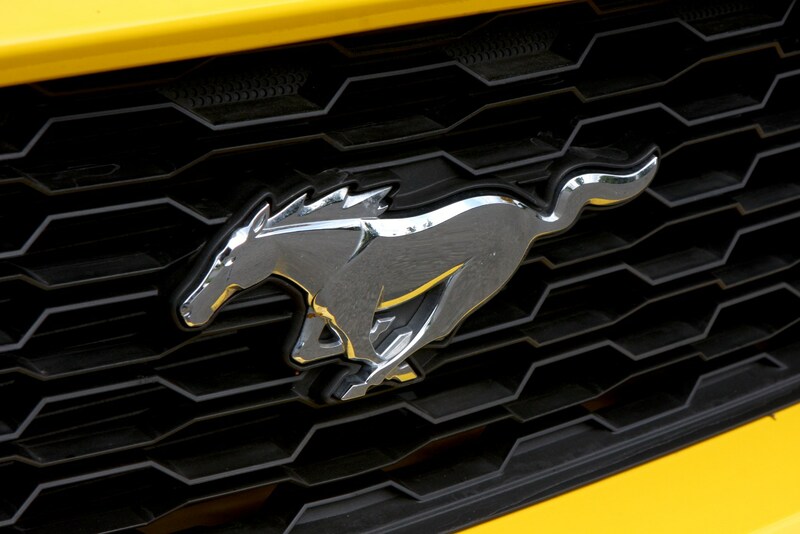 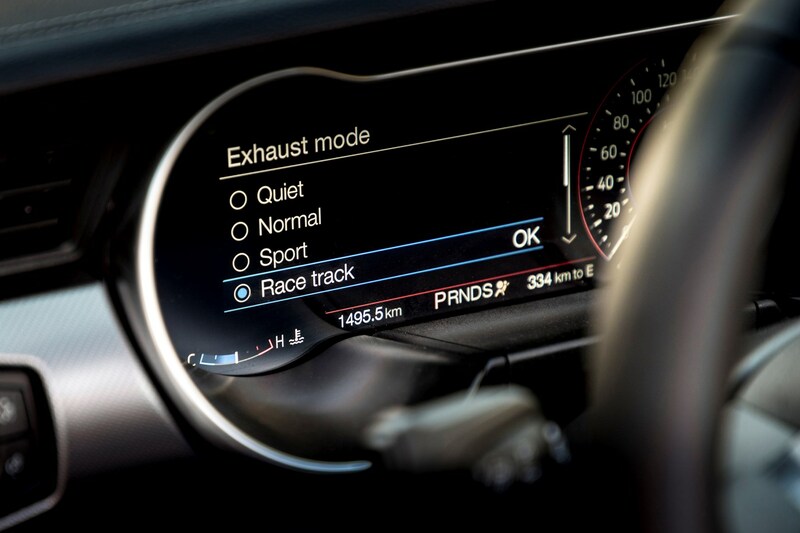 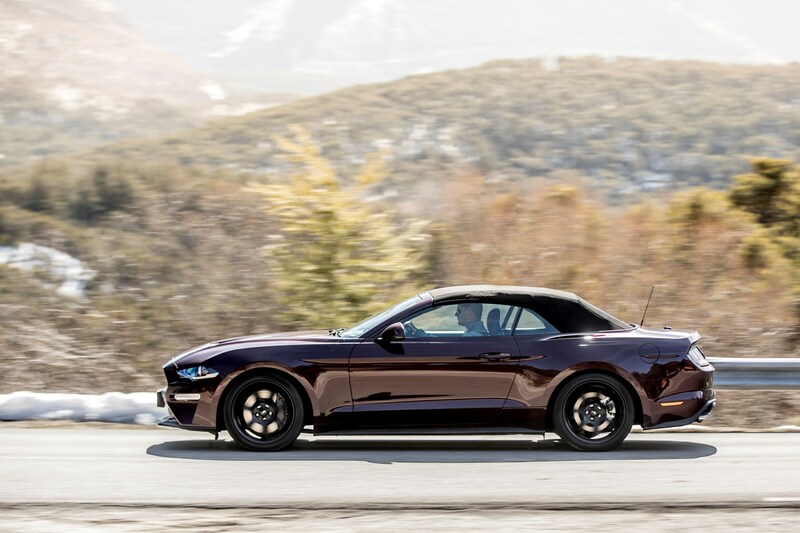 Unlike its rivals, the Mustang’s list of options isn’t extensive either, so the risk of adding a significant chunk onto the list price will be relatively low. 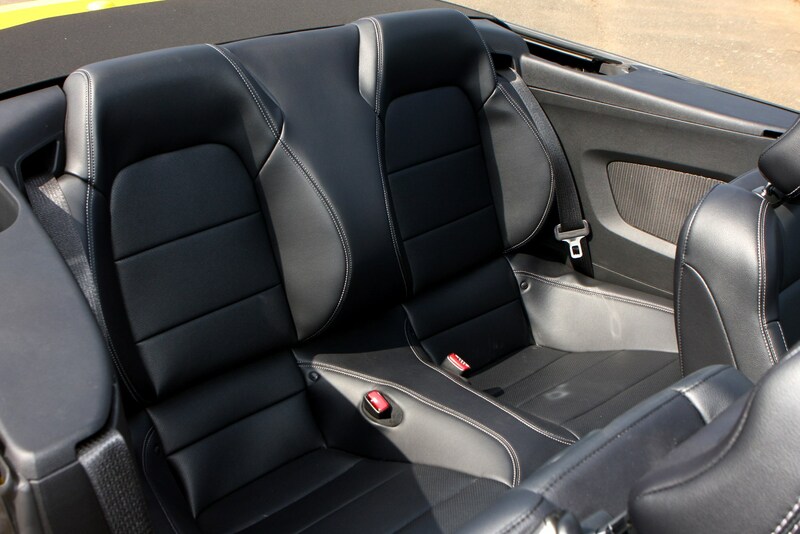 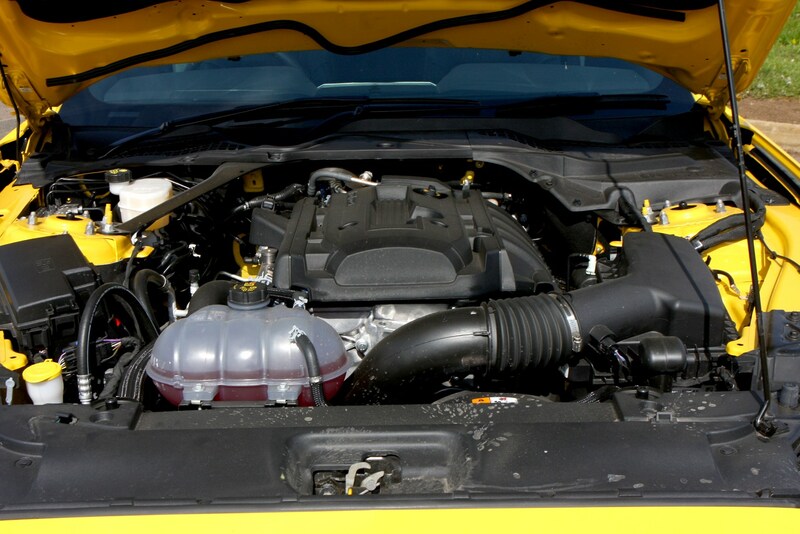 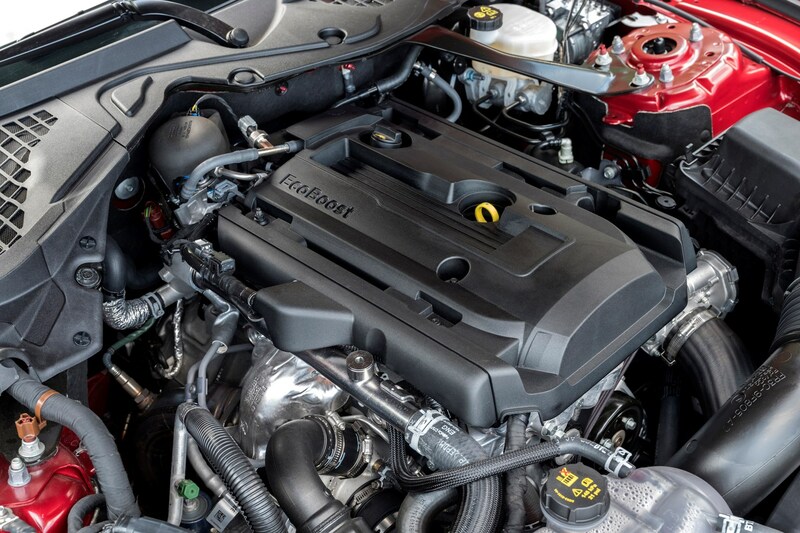 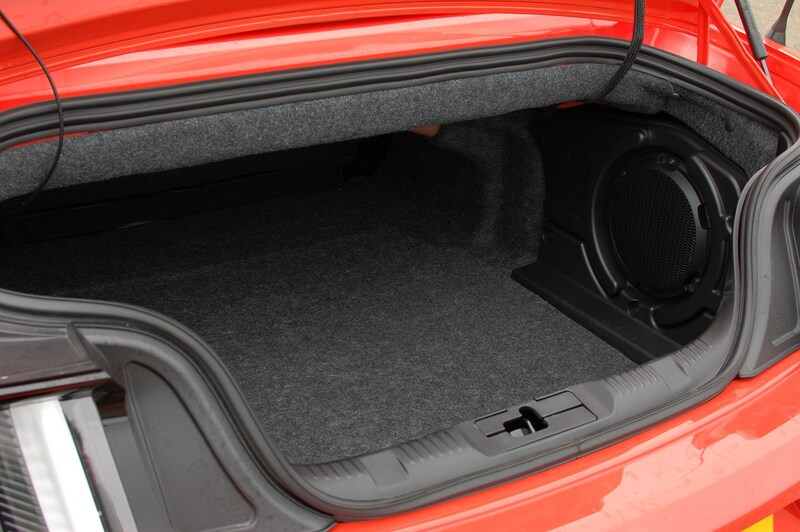 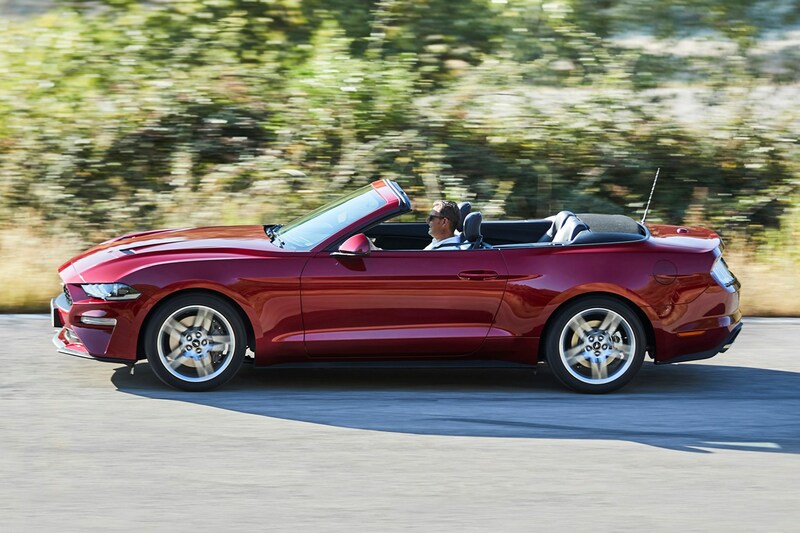 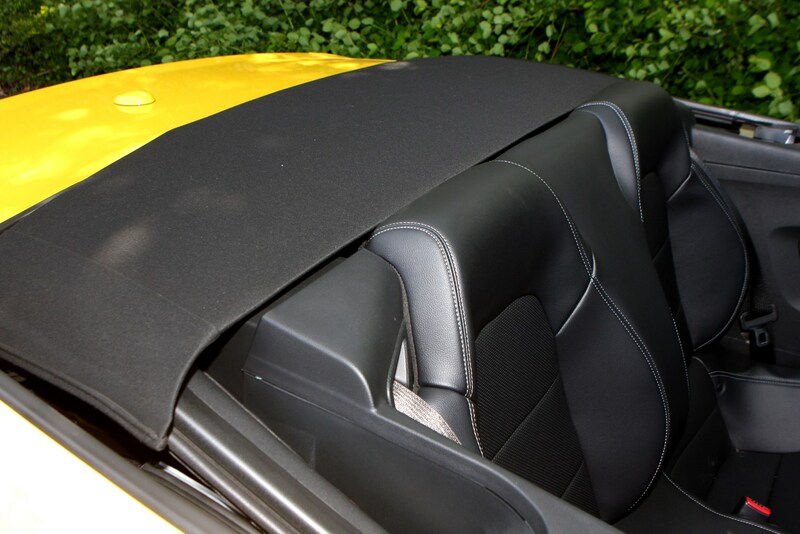 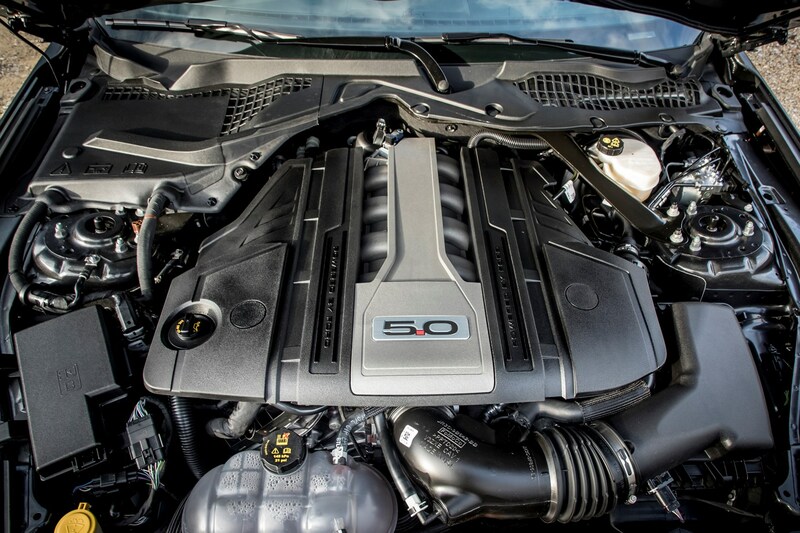 The Mustang Convertible is powered by a 2.3-litre EcoBoost producing 290hp, or a 5.0-litre V8 GT with 450hp. 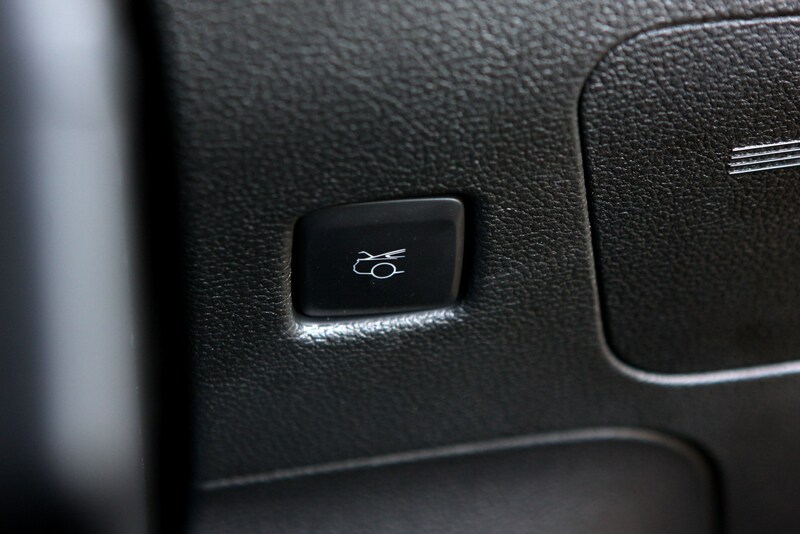 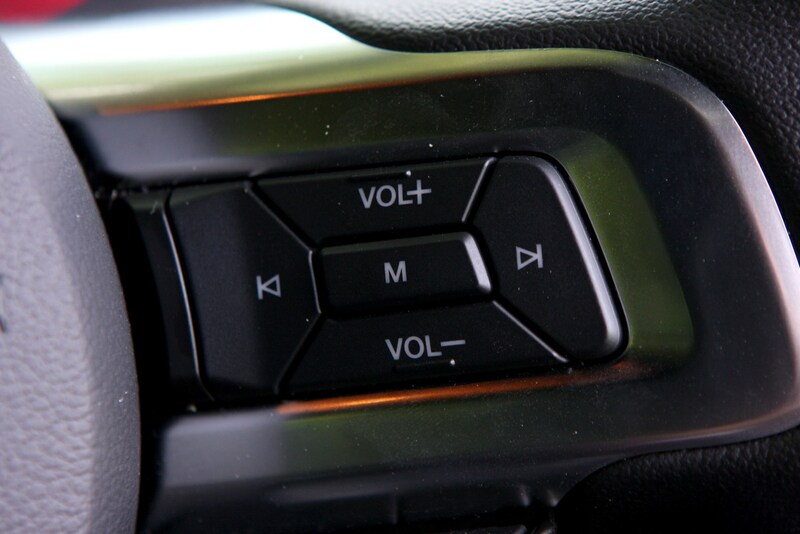 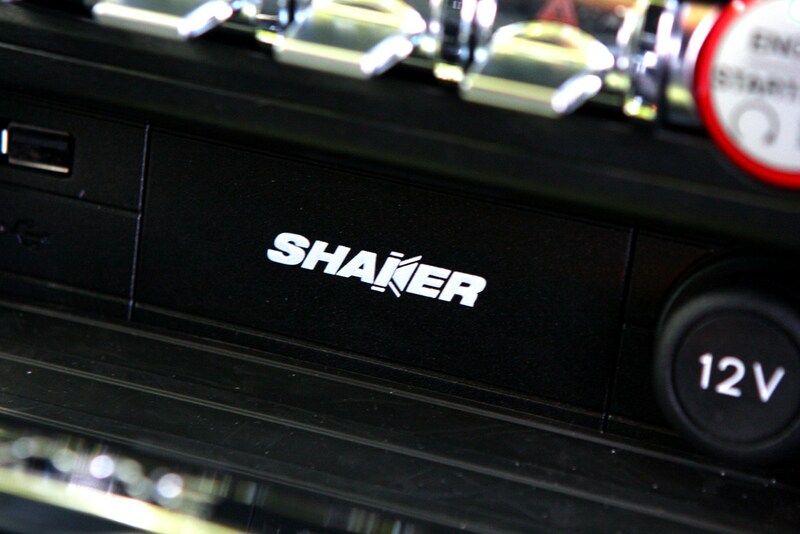 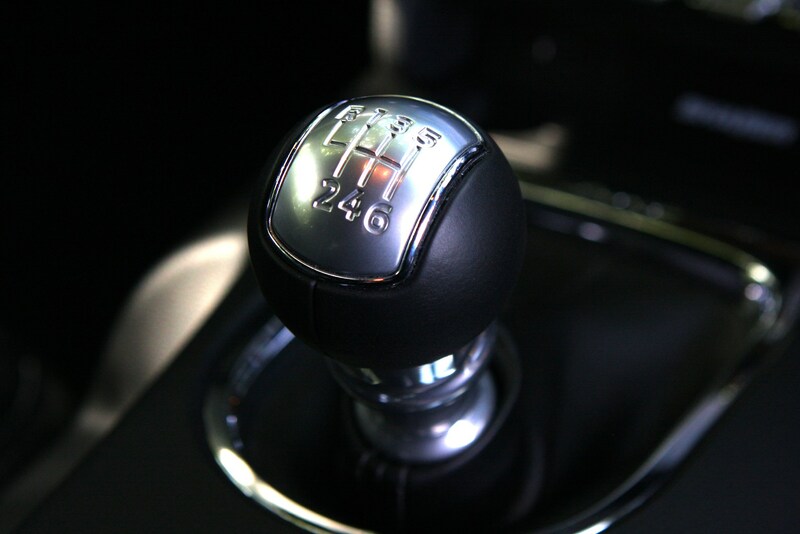 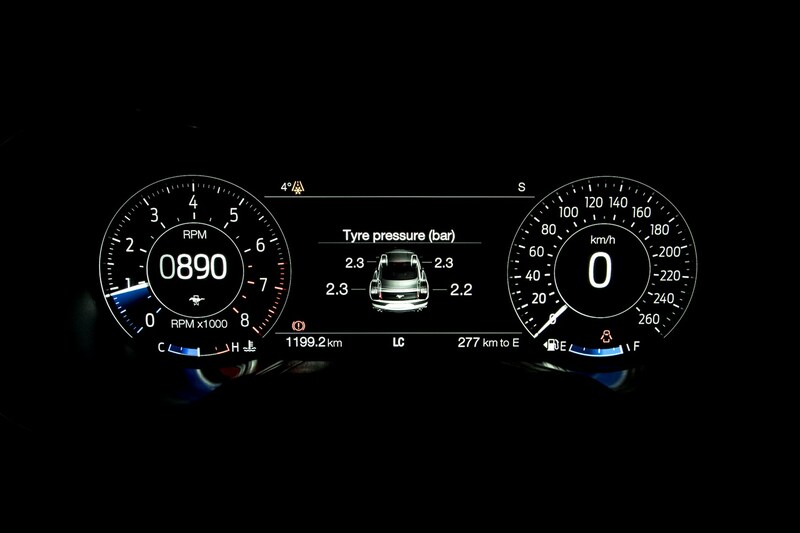 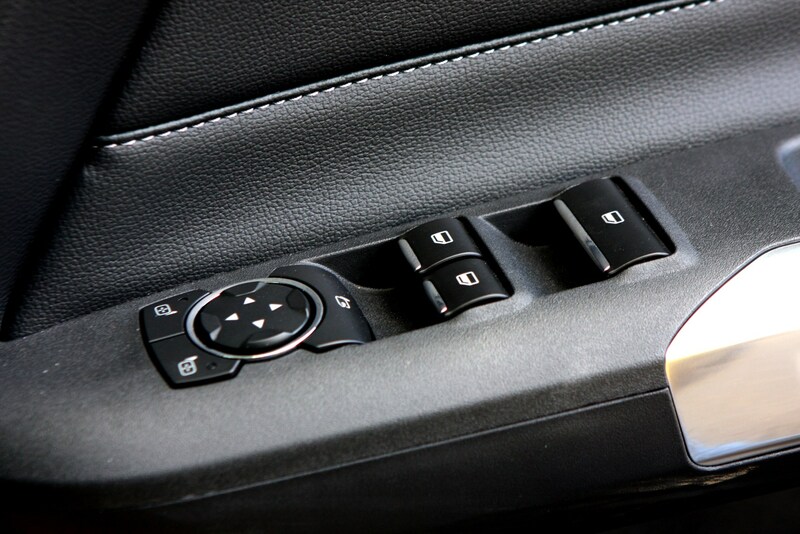 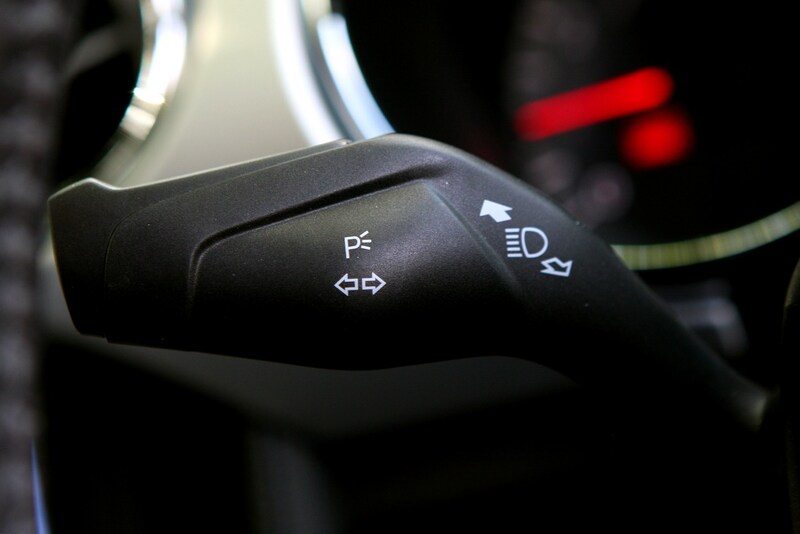 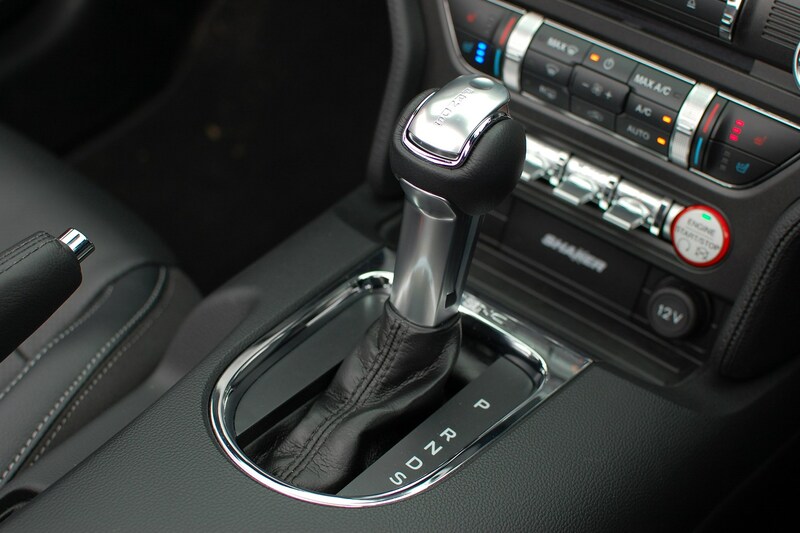 Both engines send power to the rear wheels and can be mated to either a six-speed manual gearbox or 10-speed automatic. 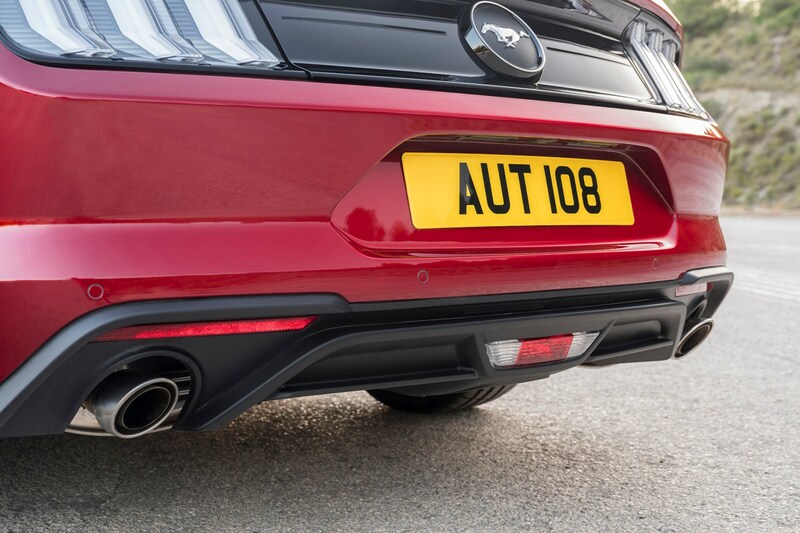 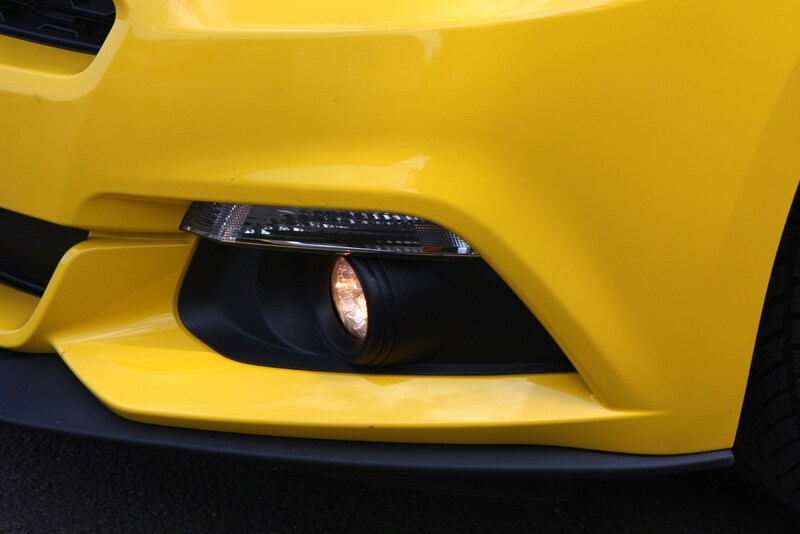 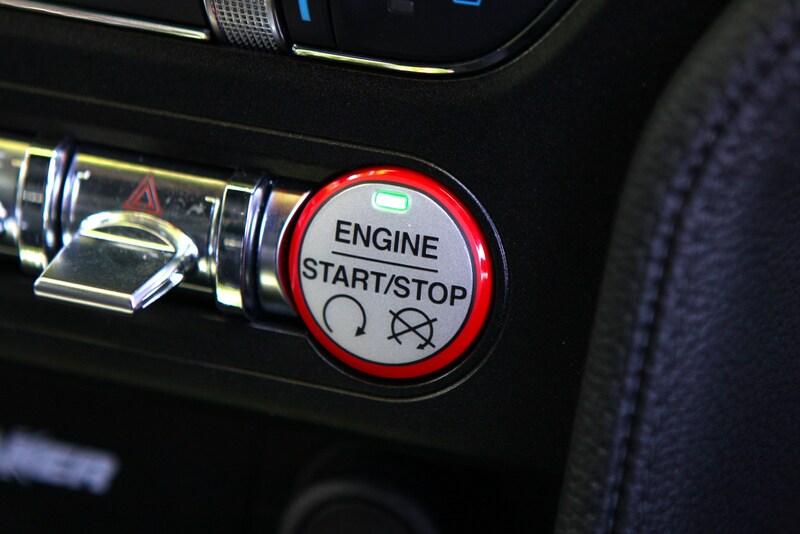 The smaller engine is closely related to the engine found in the Focus RS, albeit detuned and designed to offer low emissions with claimed fuel economy of 31.0mpg. 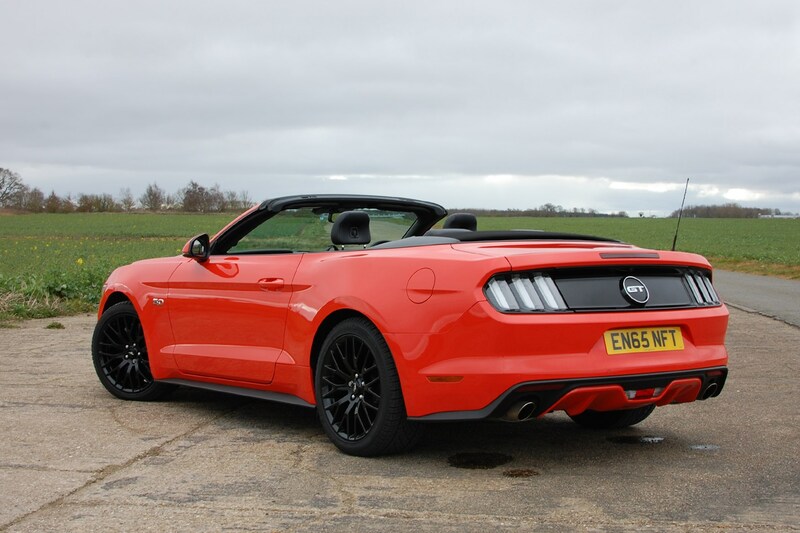 While this turbocharged four-cylinder engine could make the running costs of a Mustang seem more viable, it’s the brawnier V8 that appeals to most buyers, and to our testers too. 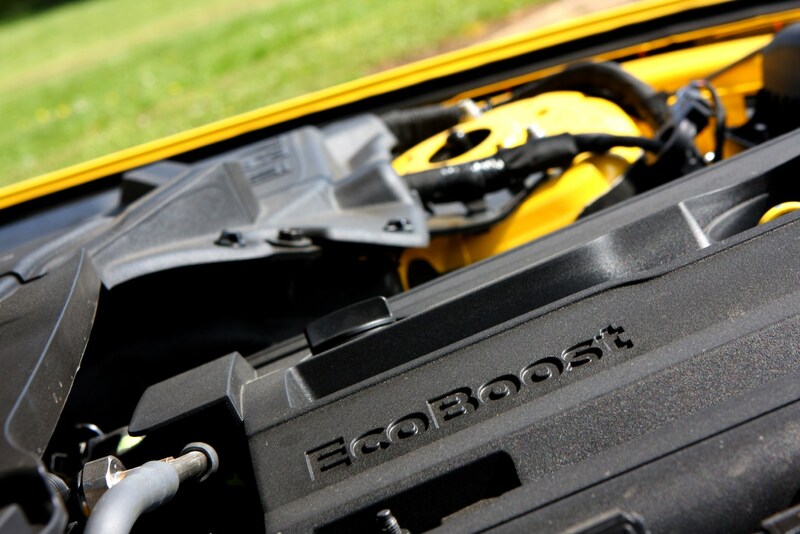 If the costs of the EcoBoost could do with being more palatable, there is also a hybrid model expected to arrive 2020. 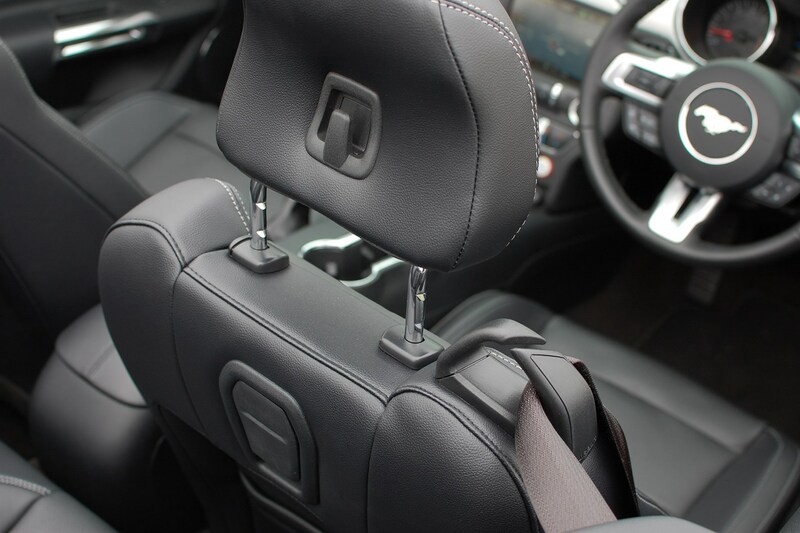 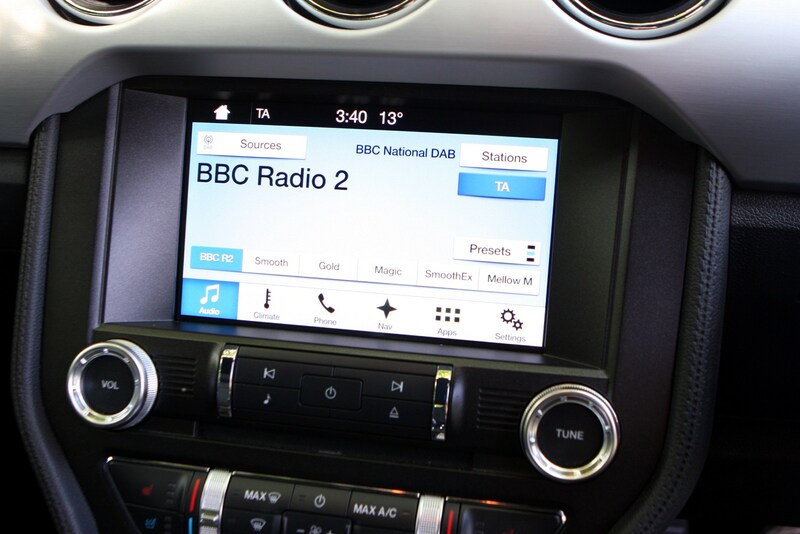 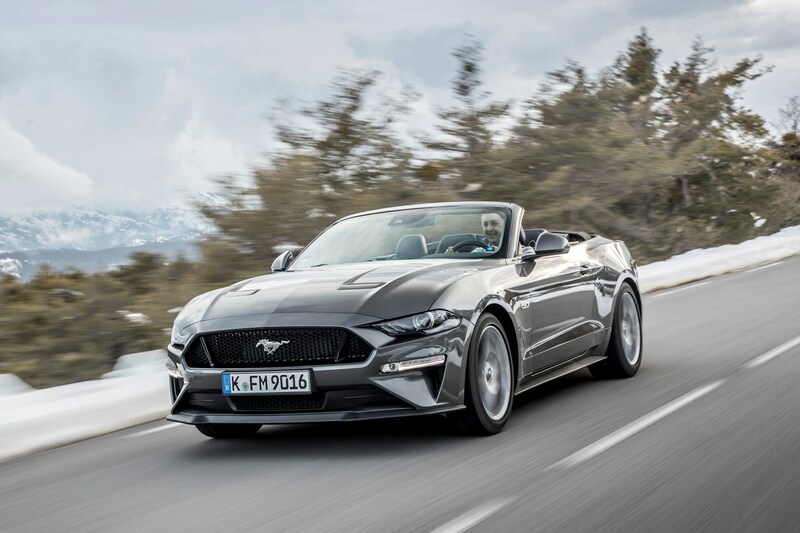 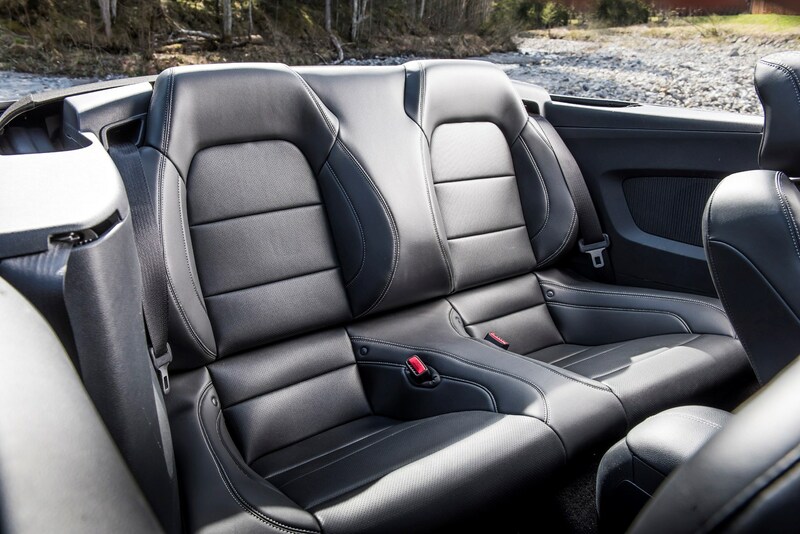 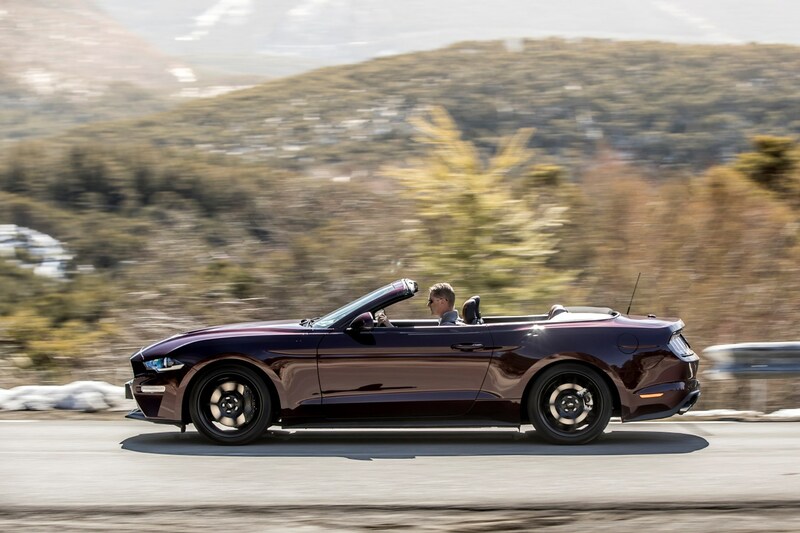 The Ford Mustang Convertible has entered into the UK market as an appealing alternative to its established rivals, offering masses of style, generous equipment levels and presence. 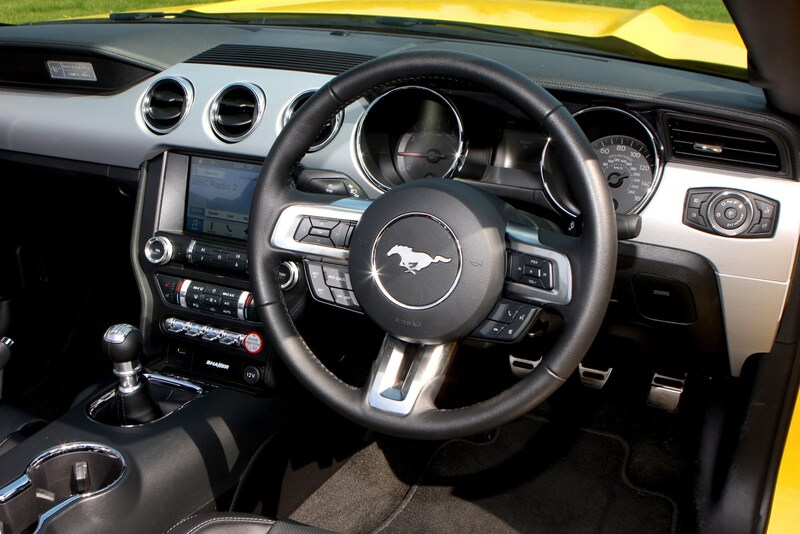 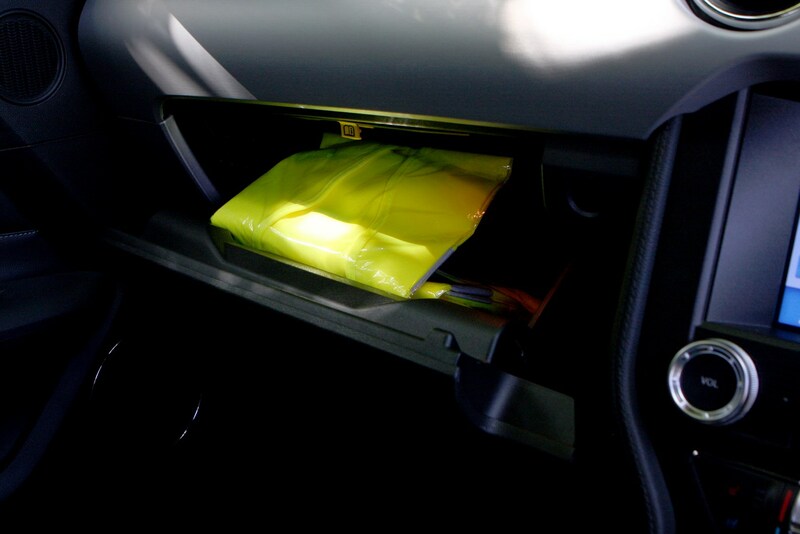 The interior quality lags behind rivals from Germany and Japan, while the American muscle car will struggle to be anywhere near as efficient. 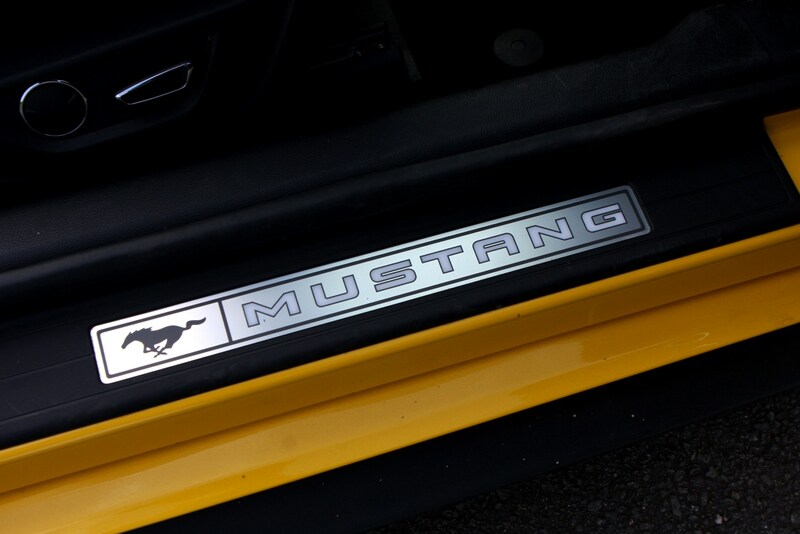 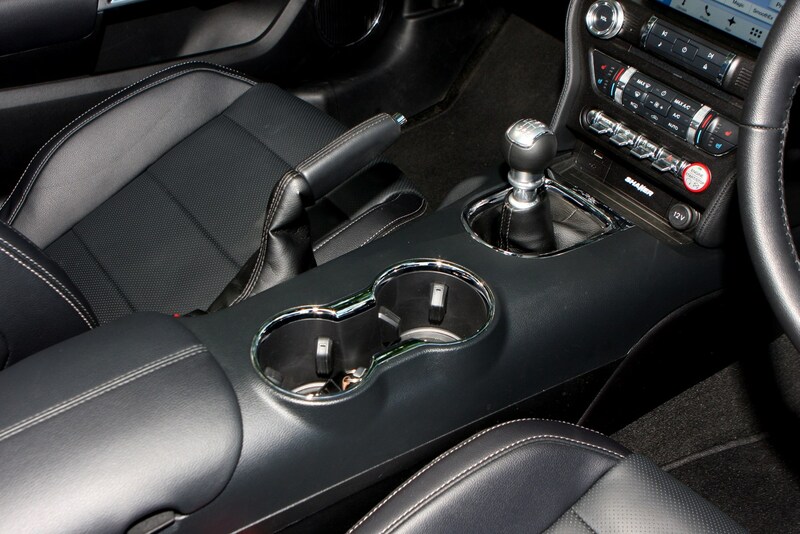 But, once the Mustang’s charm wins you over it’s very difficult to look at it objectively. 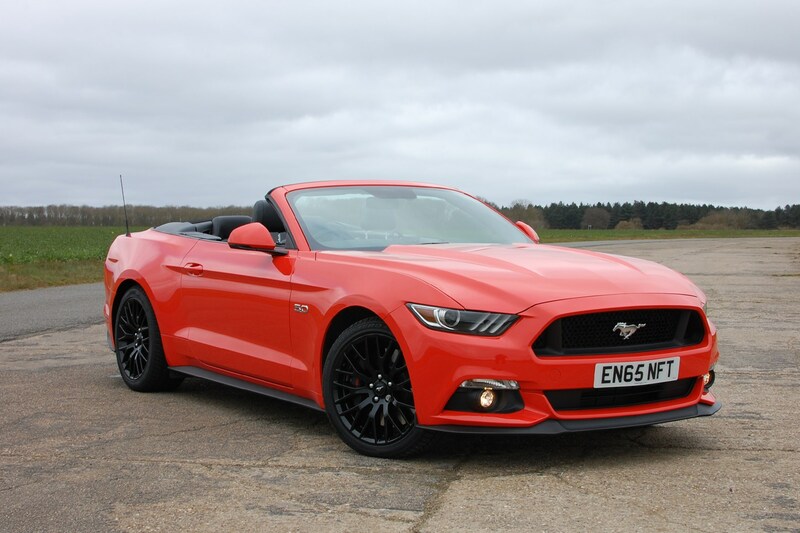 This is very much a heart-over-head purchase and once you you’re on the road, the compromises you may have had to make seem worthwhile.